The only thing I knew about Airplane vs. Volcano going into it was that Chris was amused by it. I have to agree. While the plot is pretty basic, most of the dialogue brain-dead, and the movie completely filled with every disaster cliché known to exist on film, there’s still something here that manages to entertain as long as you switch off on the way in. That’s not to say this is an amazing film, but it is actually pretty decent popcorn fodder. The plot, as it is, follows a commercial airliner that enters dangerous territory over a ring of newly active volcanoes leading to an accident onboard which prevents them from simply escaping to safety and landing. 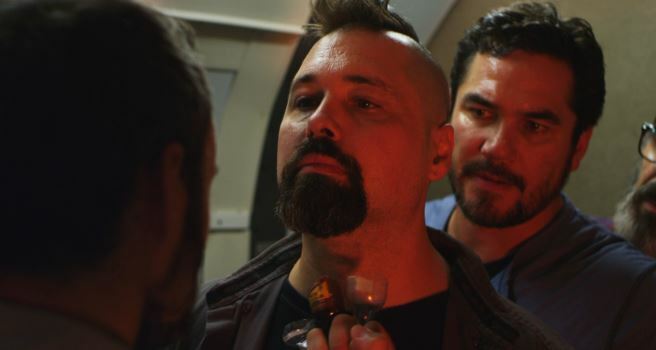 We then get to follow the events on the plane as they try to gain control, and the rescue effort on the ground that’s more about trying to contain the disaster than rescuing the people. It’s incredibly simplistic and I’ll be the first to admit the plot point of why they can’t simply fly off probably can’t happen in an actual commercial airliner. It works for the most part, and for an Asylum production it’s actually decent. It didn’t have me rolling my eyes into the back of my head like Asteroid vs. Earth did. The acting is not going to wow you in this. 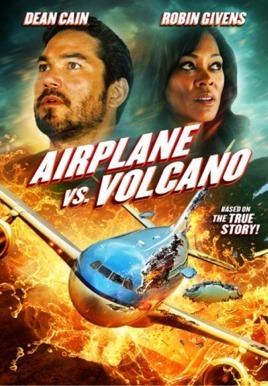 Dean Cain probably gives the most solid performance, followed by Tamara Goodwin as the lone flight attendant in this mess, and then by Robin Givens playing a volcanologist who’s butting heads with the largest walking military commander cliché in a disaster movie I’ve seen in a long while. Everyone else is decent enough, but the military scenes where they’re trying to come up with rescue options border on the ridiculous. It doesn’t help that I recognized the same damn set for the command center there as being the one from Asteroid vs. Earth. More importantly, the characters feel like real people. Walking clichés, sure, but I wasn’t wishing the plane would just drop in a volcano so it’d be over with, which is a huge improvement. Did I mention this film is full of things every other disaster film does? I do have to say that these are some of the better visual effects I’ve seen in an Asylum film in a long while. It’s obviously computer generated effects work, but it’s all at least working together on screen instead of fighting against the actual actors shot on a stage when the monster is added in later. I think that has a lot to do with it. 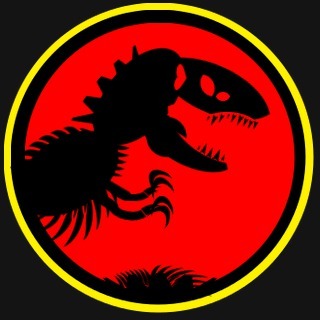 Again, this isn’t mind blowing, just really good for something that aired on SyFy. After a string of films that I found to be very meh, with just one or two encrusted gems in the bunch, one of their more ridiculous sounding titles actually ends up being pretty good. I’m not saying Airplane vs. Volcano is a movie of the year, but it is entertaining, most of the effects look pretty good, and the characters actually don’t make me want to put my head in an oven. Dean Cain is pretty good in this, but this is more of an ensemble effort, and most of the cast is pretty good. I doubt I’ll be running to watch it again, but if someone wanted to watch it, I wouldn’t wave them off either.